Boating accident negligence is all too common. Just like with cars, boating is a practice that requires a great deal of responsibility. As fun as being out on the water can be, it only takes one instant of carelessness to turn your vacation into a painful recovery from an injury. Sometimes accidents happen that aren’t anyone’s fault, but this isn’t always the case. If someone else’s negligence caused your injury, you have a right to seek compensation for the suffering and expenses you must deal with as a result of that injury. If you’re unsure of whether you’re the victim of boating accident negligence, continue reading for some examples. What Kind of Situations Are Considered Boating Negligence? ● Colliding with an object, which can involve the boat striking something the operator was unable to see in the water. This can be the fault of the operator, but their liability will be dependent on the factors surrounding the collision. For example, if the boat was going too fast in a foggy area, this could be a case of negligence. ● A collision between two boats, which as mentioned before might be an instance of both operators being at fault. If that is the case, the injured parties could choose to seek compensation from both operators. ● Colliding with another boat’s wake, if it is large, can cause injury to passengers by knocking them around (or even sending them overboard). Figuring out if there is negligence in this kind of situation can be tricky, as factors like the boat’s speed, the environment and the boat that created the wake need to be considered. The other operator could possibly be the party at fault, especially if the wake occurred in a crowded area. If You Believe You Were the Victim of Boating Accident Negligence, What Do You Do Next? Although it can be difficult to determine whether or not there was negligence involved, you may still be entitled to compensation for the injuries you suffered. 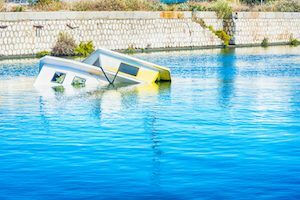 Even if you’ve escaped injury but have instead suffered damages to your property, you could still be the victim of boating accident negligence. Due to the complex nature of determining if an accident was the result of negligent behavior, it might serve you well to get in touch with a boating accident negligence attorney for the guidance you need. You could not only get advice on whether you have a case but also representation if you decide to proceed with a lawsuit. An attorney experienced with boating accidents can help you get what you deserve. Have questions about boating accident negligence? Contact our legal team at Williams & Williams, LLC, online today.